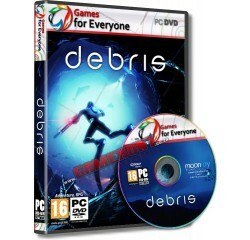 Debris - R120,00 : Game Hunt, Where we lead, others follow. You're part of a small team sent to film a promotional video for a groundbreaking discovery: meteoric debris embedded deep in Arctic ice that provides clean, hyper-efficient energy. But as your dive begins, several explosions create a powerful current that drags you and your team down, trapping everyone in a vast network of submerged glacial caverns. But something else is going on. Things aren't right, they don't add up, and before you know it the truth comes into question. As you fight your way to safety, you'll need to figure out what's behind this surreal world and your desperate situation. Knowing will make all the difference. Deep storylines dramatically impacted by the choices you make. Single-player ( co-op mode coming soon ). A unique underwater setting like nothing you've ever seen. Stunning graphics with dynamic ice and alien bioluminescence. Living creatures with their own domains, desires and attitudes. Futuristic weapons and a robotic squid. A mysterious story that leaves you questioning everything. Living, breathing characters brought to life through stage-directed voice acting. A stirringly eerie soundtrack that ebbs and flows as you play. Lifelike creature animations that with leave you breathless. Unscripted game mechanics that make every playthrough unique. Processor - Dual Core 2.3GHz or better® or equivalent AMD® processor.